A company backed by Asia’s richest man – Alibaba billionaire Jack Ma – has agreed to buy an Asian financial services unit from Massachusetts Mutual Life Insurance Co. The deal has been set up by investment and financing platform Yunfeng Financial Group, co-founded by Ma and majority shareholder and chairman David Feng Yu in 2010. 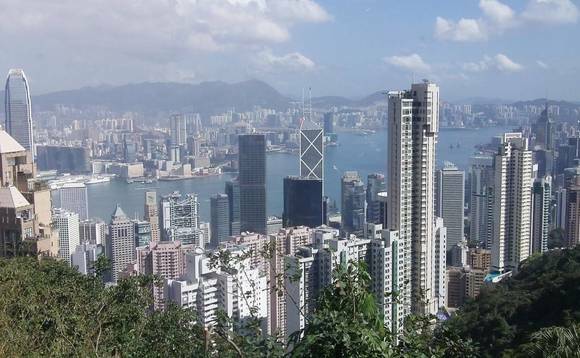 The buyer will pay HK$13bn (US$1.7bn) for Hong Kong-based MassMutual Asia Ltd, with about 60% of that sum in cash, and the rest in Yunfeng stock, the seller said in a statement announcing the deal. Yunfeng, known for catering to wealthier individuals in the region, has recently created a robo-adviser to help manage the wealth of regular Chinese and Hong Kong investors and has said that recently that it has been looking to broaden its reach to the mass market. Ma, pictured left, is the founder of Alibaba Group Holding Ltd, which created China’s largest online bazaar. Alibaba is also the publisher of The South China Morning Post. Yunfeng Financial Group will hold a direct 60% stake in the business. MassMutual Asia is licensed to transact life and annuity business as well as investment linked long term, permanent health and long term insurance business in Hong Kong. It is also licensed to sell life insurance products in Macau. MassMutual said its operation in Japan and a joint venture in China are not part of the transaction. Yunfeng chairman David Yu said in the statement that MassMutual Asia’s insurance products will “broaden Yunfeng FG’s financial product offerings” and significantly contribute to the building of its “financial service ecosystem”, given that insurance and annuity products are “indispensable” in overall financial planning. “This transaction will also enable cross-referrals of existing customers of Yunfeng FG and MassMutual Asia, thereby facilitating a wider customer reach,” said Yu. MassMutual was originally founded in 1851, but has been reshaping its business mix under chief executive Roger Crandall recently. The company has been seeking to expand in asset management and added a network of thousands of advisers in a deal last year with MetLife. “This transaction represents a significant step forward for MassMutual and its policyowners by affording us the distinct opportunity to capitalise on the long term success and value of MassMutual Asia,” Crandall said in a statement. Alibaba Group Holding founder and executive chairman Ma, pictured above left, has further solidified his position as the richest man in Asia this year. According to Forbes, as of June 9, Ma, 52, owned 178,272,449 shares of Alibaba, which amounts to 7% of the company’s shares. Assuming he owned the same amount of shares on January 1 of this year, Ma’s net worth has increased by at least US$14bn in 2017 alone. Shares of Alibaba have risen 90% year-to-date from US$87.93 to US$166.19, which would mean that the value of Ma’s shares has increased from US$15.7bn to US$29.6bn. 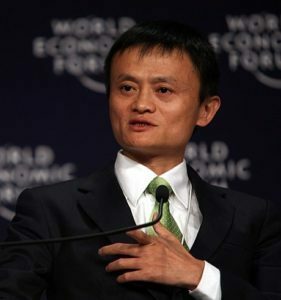 Ma has other investments, meaning his net worth is probably more than the US$29.6bn he’s made from Alibaba shares alone. According to real time data from Forbes, Ma’s net worth recently hit US$37.9bn. That’s an increase of US$30.8 billion from October 2013 when he was worth US$7.1bn. Alibaba went public in September 2014.